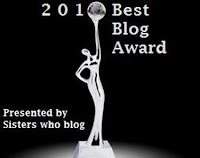 Sisters Who Blog Network are holding a 2010 Best Blog Awards. You can now nominate your Blog and register your name in the voting list! 3. Register their names and blogs in the voters list. i'm soooo excited for this! yay!